Or visit our office, Tbilisi, 11 Lubliana Str. "House on a Circle" - Construction is finished! "House on a Circle" - Building is Completed! Communications are on. 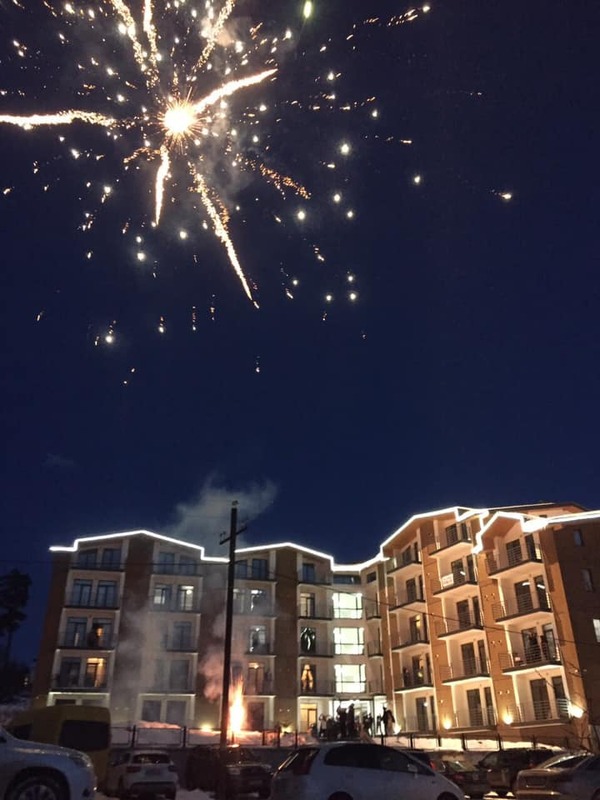 Renovations of apartments is completed. Meet December 8th, the season opening day of winter in a new home. or visit the office: Tbilisi, Lubliana 11. Or invite you to the office: Tbilisi, Lubliana 11. 02/10/2018 Next Infrastructural Project of "Tride" - Concert Hall on Lubliana Street! The hall space allows for any musical concerts, as well as sports events, theatrical or other spectacular performances. 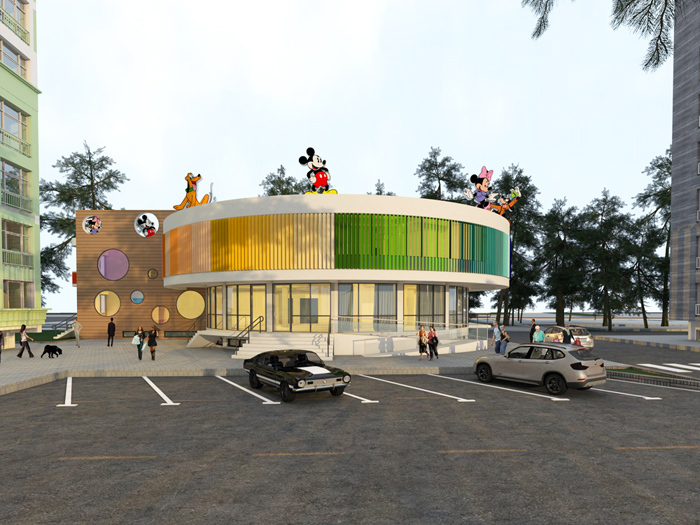 In addition, the hall will allow our population and their children to engage in various creative groups and circles to participate in exhibitions and competitions. 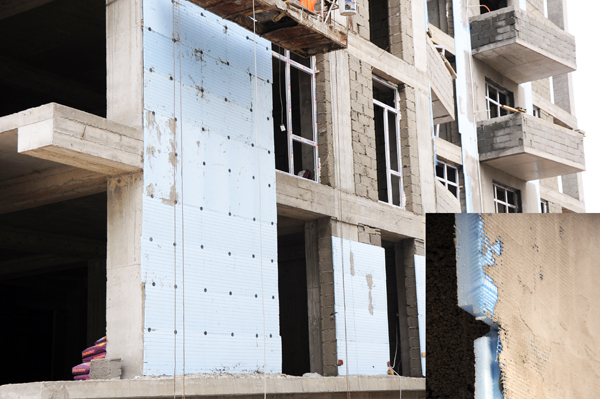 The hall is equipped with an international standard sound insulation and fire protection system to ensure safety. 26/09/2018 Best Offer from "Tride"! "House Circle" in the center of Bakuriani. 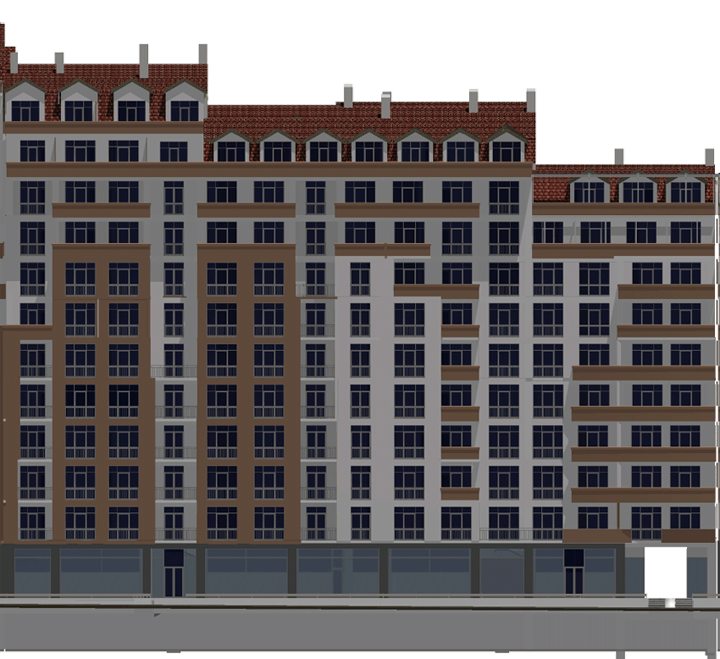 First (beletage) Floor 48,9 sq.m. Complete repair, built - in kitchen. Price: 1000 $ equivalent in GEL. 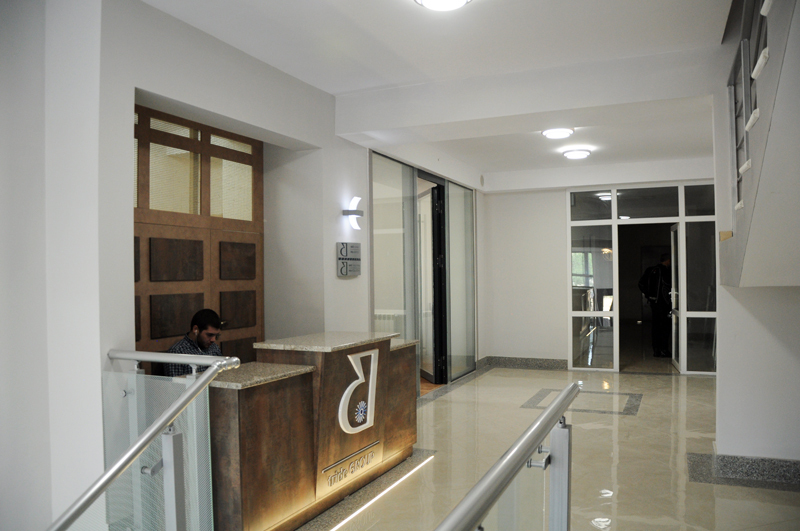 Or visit us to the office: Tbilisi, Lubliana 11. 09/09/2018 "House on a circle"
Bakuriani "House on a circle" construction is finished. 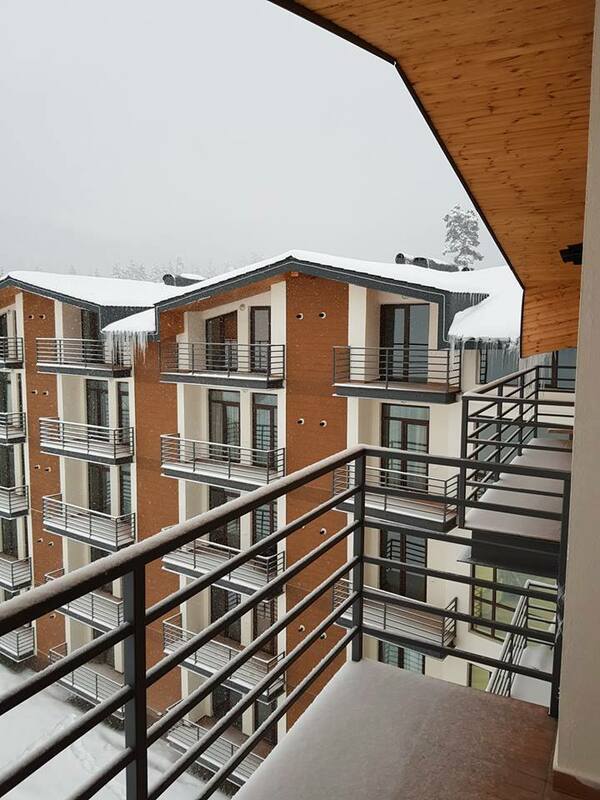 Buy a comfortable studio in Bakuriani for the best price! "House on Circle" - Tsakadze str. 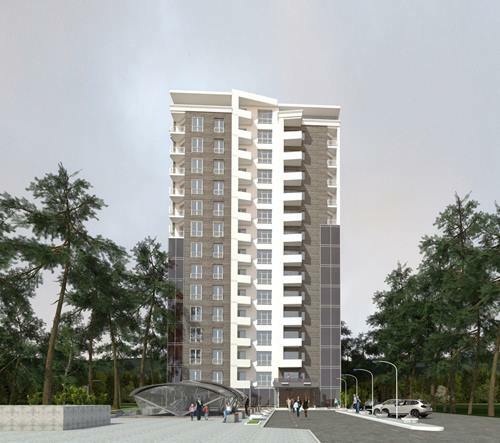 # 26, Kokhta-Miturbi , total area 27.4 m2. 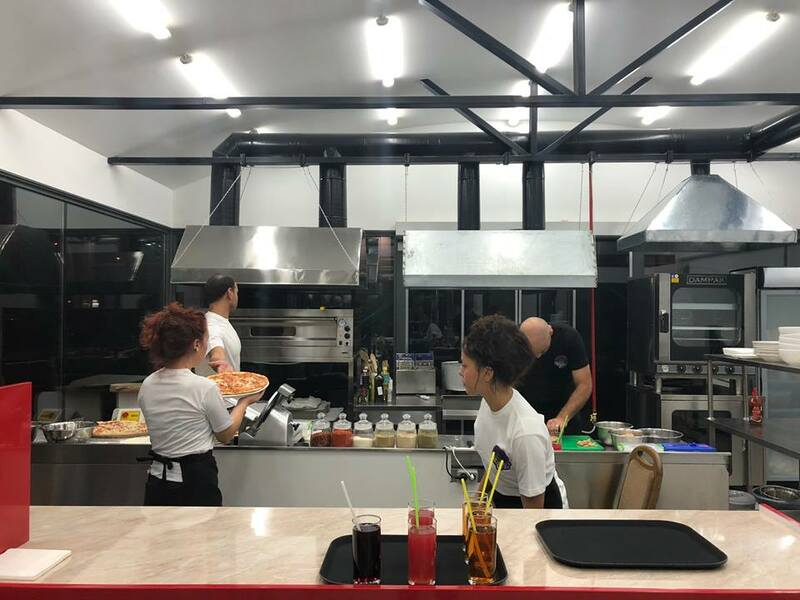 Or visit us at the office, # 11 in Lubliana. 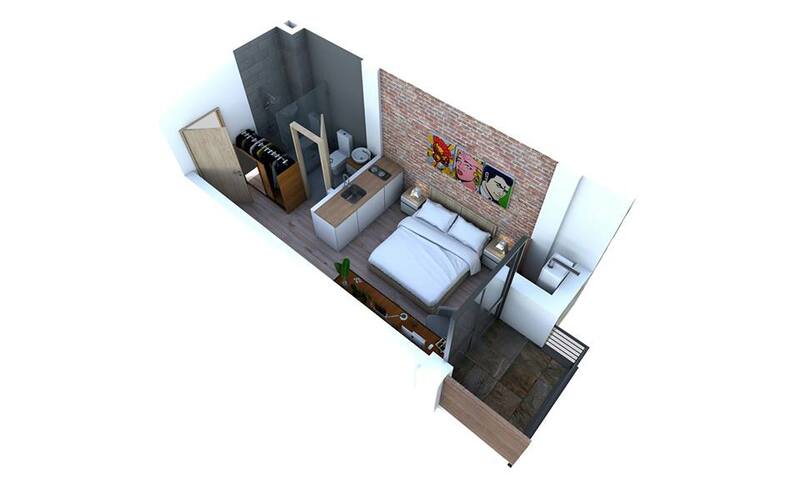 Construction company "Tride" offers apartments from 25 sq.m. Fully renovated. Hurry up sales started! Arrangement of the base block of the 2nd block completed. 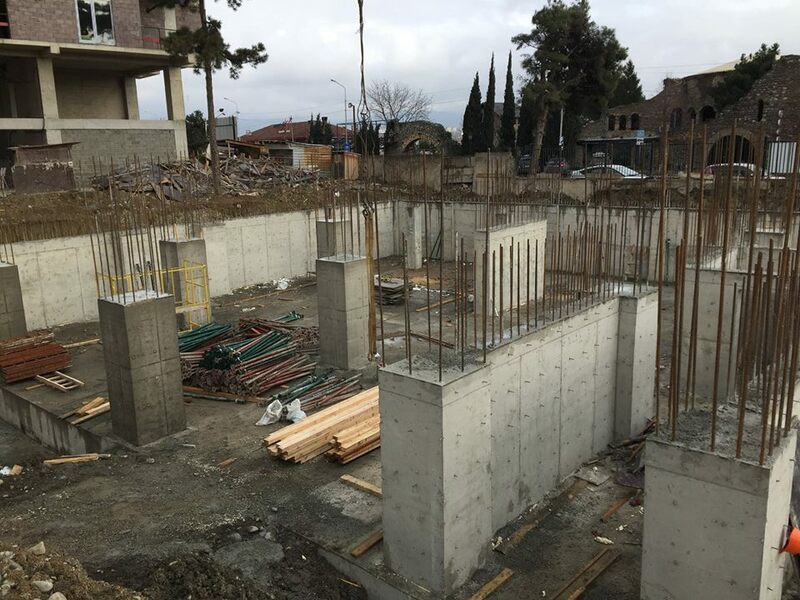 03/04/2018 Arrangement of outer walls, columns, diaphragms and roofing slabs of the reinforced concrete foundation (parking floor). Armature - different diameters (Ukraine). Construction of the building has been completed and is settled. 599 675 675; 2 2 90 90 90. Best Offer for Best Price. 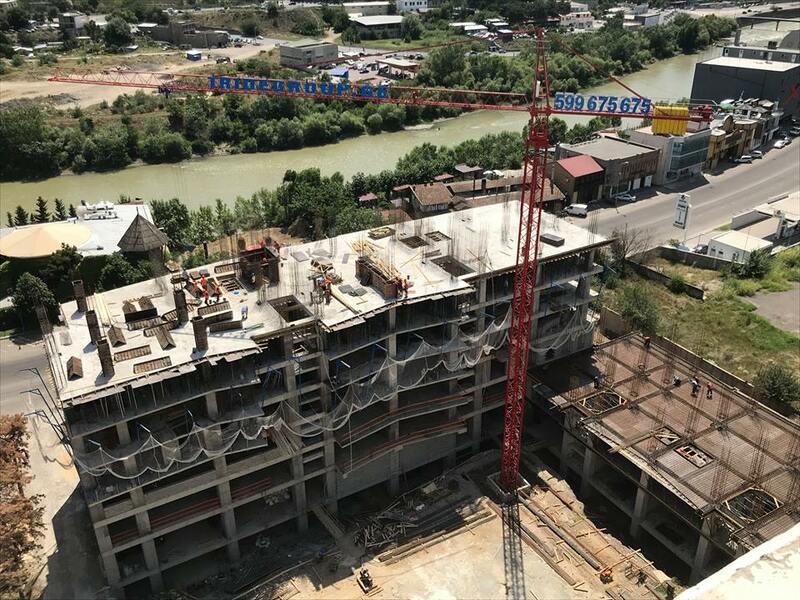 27/03/2018 Construction began on November 1, 2017. Cut 2000 sq.m. Foundation, depth 4,5 meters. 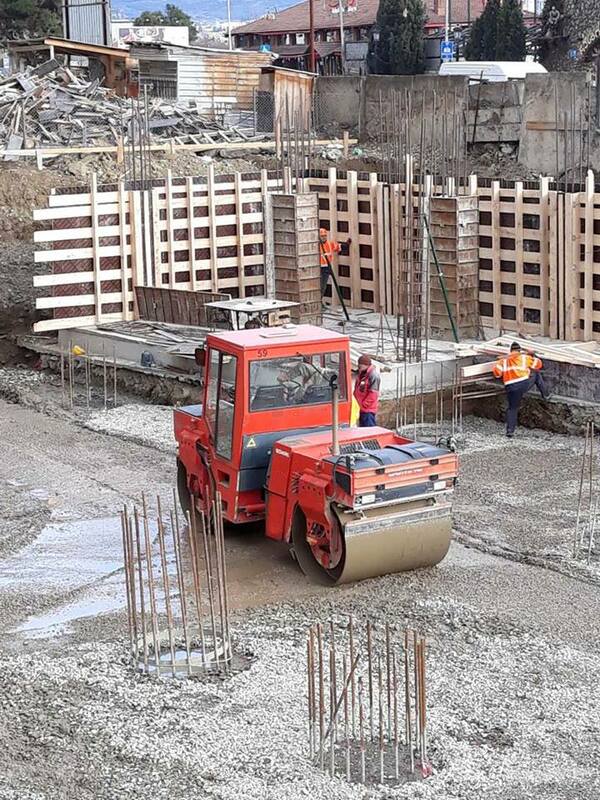 27/03/2018 Corps reinforced concrete foundations (38 pcs) and tile were installed. 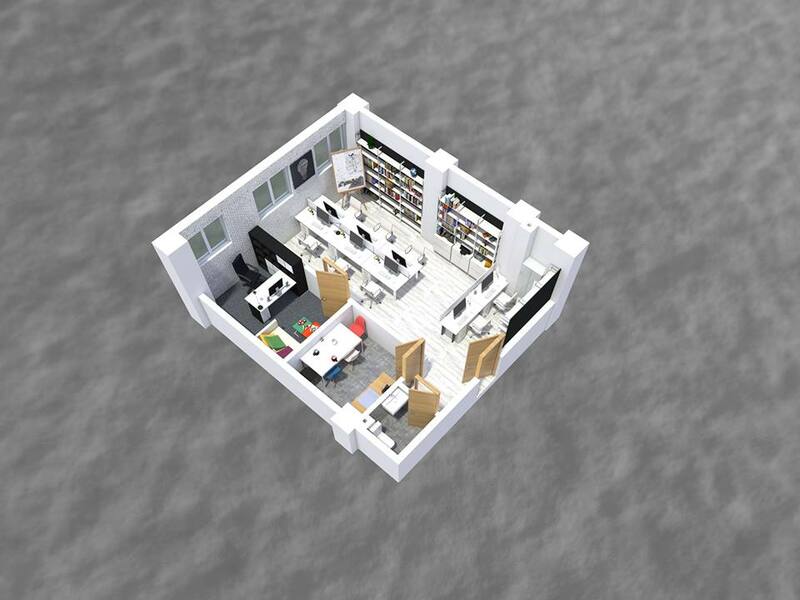 Apartment on the 3rd floor. 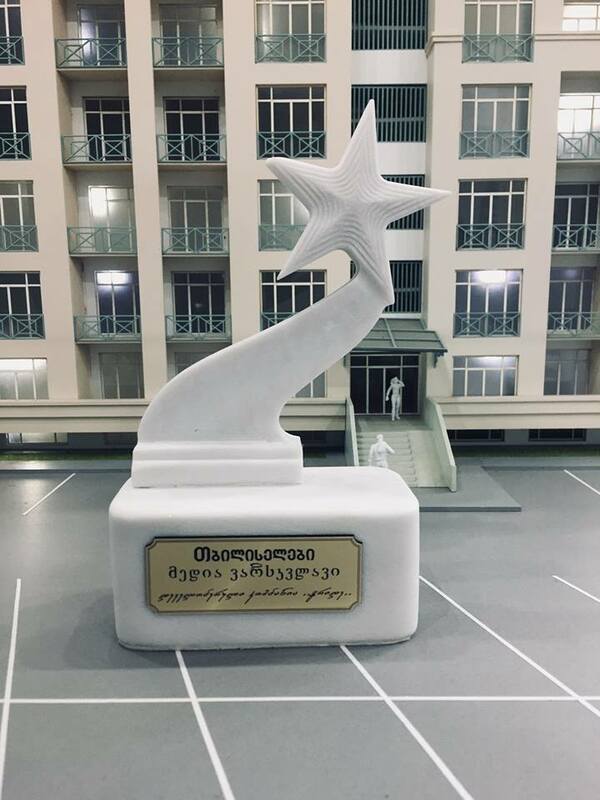 12/02/2018 For the most innovative and modern projects and the original architecture, the development company "Tride" Magazine "Tbiliselebi" was awarded with a special prize - "Media Star". 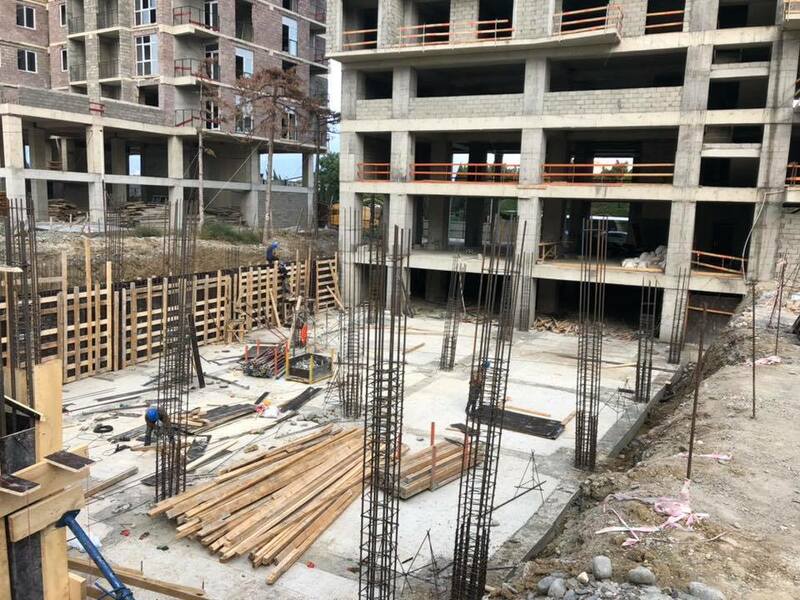 01/02/2018 Multifunctional building, "House on Beliashvili" is in the process of construction. 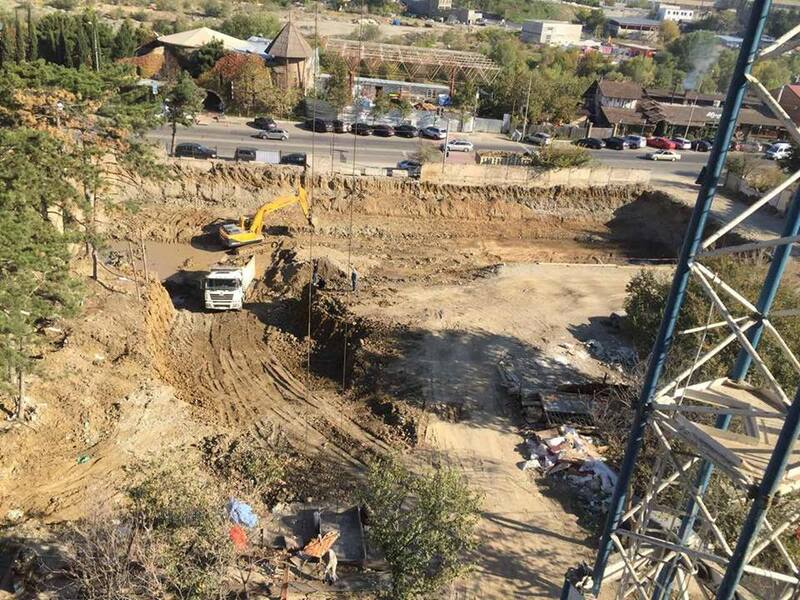 13/11/2017 Construction of the last project of "Dighomi Park" is also started. 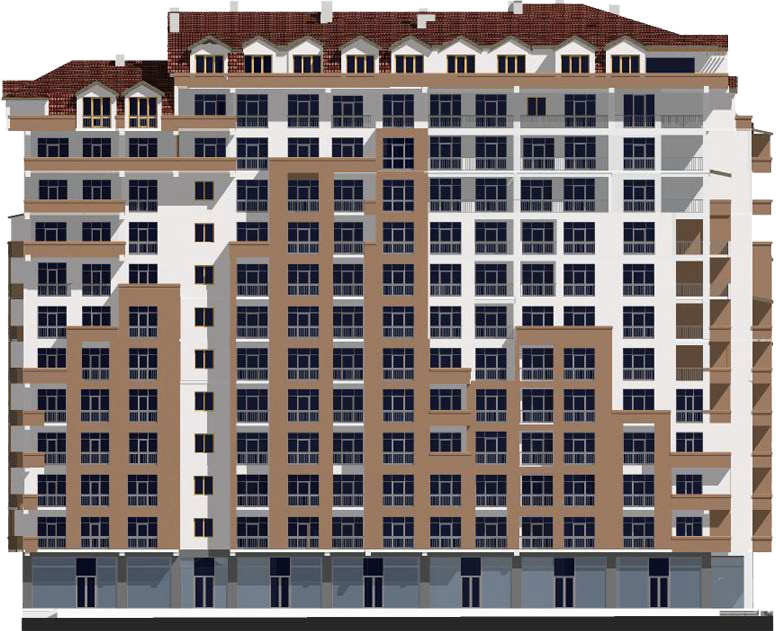 Very soon the multifunctional building equipped with modern technologies will be built on Beliashvili Street. Construction has already begun. The grandiose project ends at the end of 2019. 17/10/2017 The construction of the 7th project of "Triad" is over, in the most beautiful house built with modern technologies and materials, you have more comfort. To: Digomi, Ljubliana # 11. 02/05/2017 In our yard you can visit colourful café and taste the best tea or coffee. You can also taste delicious cakes. 05/04/2017 From the terrace of the whole town you will see the view. Spend calm evening with friends on your own terrace. Buy Penthouse "Panorama 2" and enjoy the beautiful nature of Digomi. Price from 65 000 $. 05/04/2017 In "Panorama 2" 91m² to 60 000 $. 24/01/2017 Our offer is valid until the end of January. Hurry up! 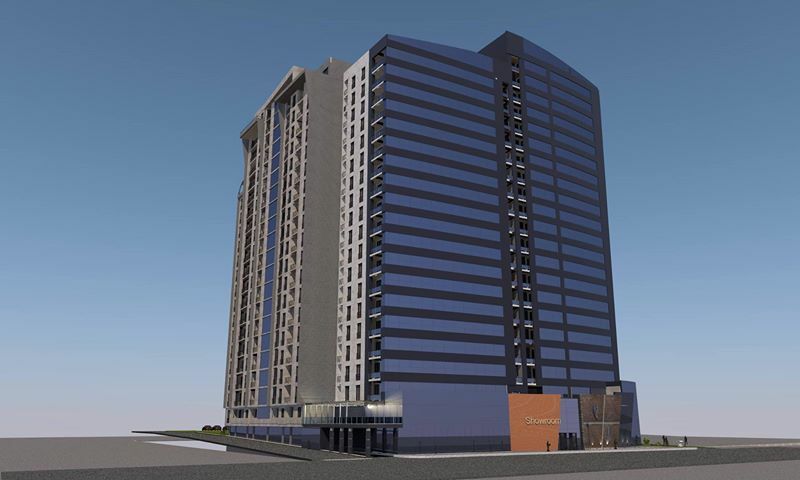 The offer applies to the limited number of apartments. 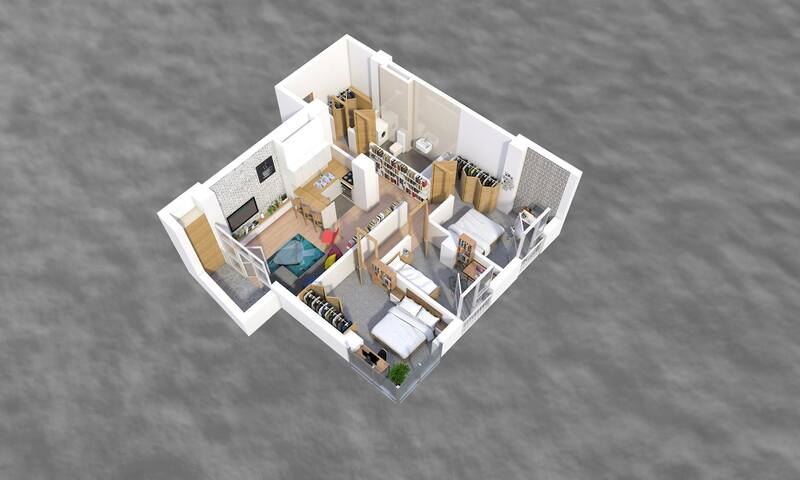 Area of apartment: 95 sq. m.
22/12/2016 New Year’s deal in “Panorama 2”! 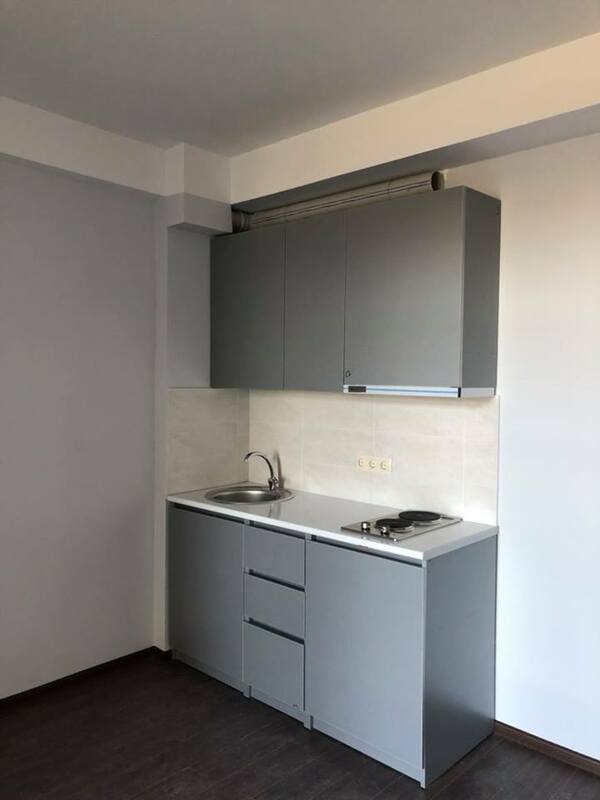 Buy apartment in finished building. 1 sq. m. for $700 instead of $730 with 6-month interest-free internal credit. 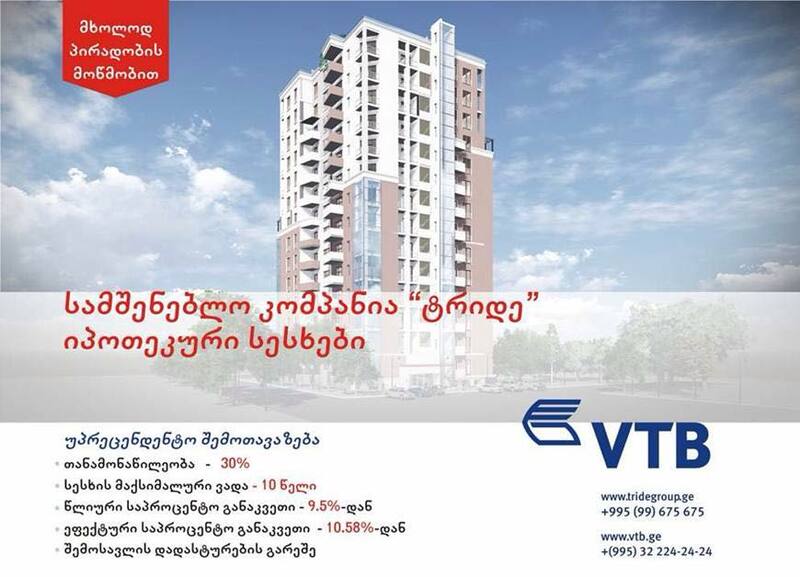 Hurry up, the offer applies to the limited number of apartments. 19/12/2016 New Year’s deal in “Panorama 2”! Buy an apartment for $700 instead of $730 with 6-month interest-free internal credit. Hurry up, the offer applies to the limited number of apartments. 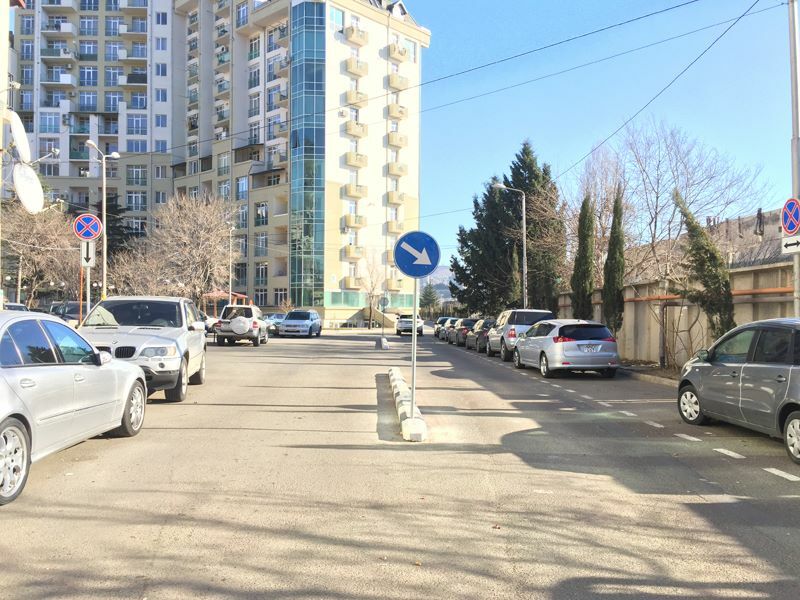 16/12/2016 The road connecting Lubliana and Beliashvili streets has been cleaned, dividing lane has been arranged. 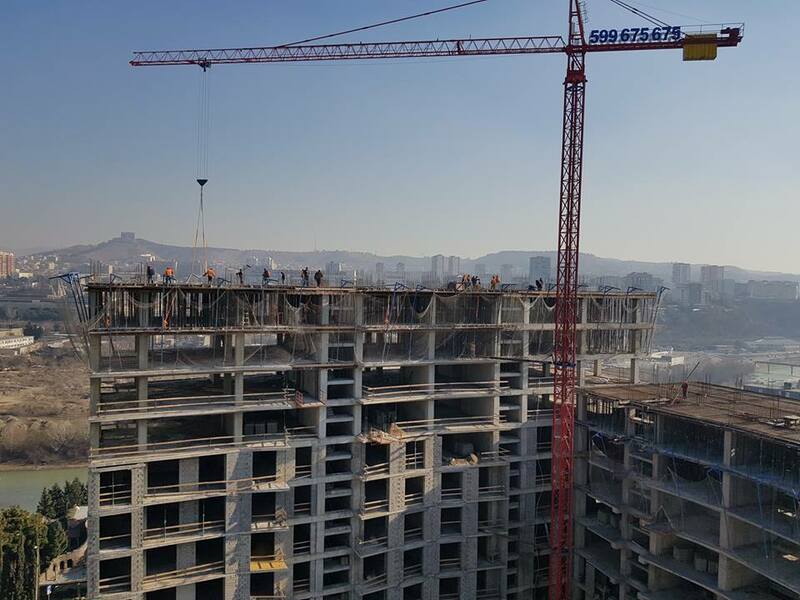 27/10/2016 From the 1st November of the current year “Tride” starts to sell apartments in the new building under construction “Panorama 3” which will finish in May of 2017. The selling prices will be significantly lower compared to the current prices, while the duration of internal credit will be 1 year and 2 months. The company will also offer the flexible system of payment in instalments to the buyers. Lubliana str. #11, sales office of “Tride”. 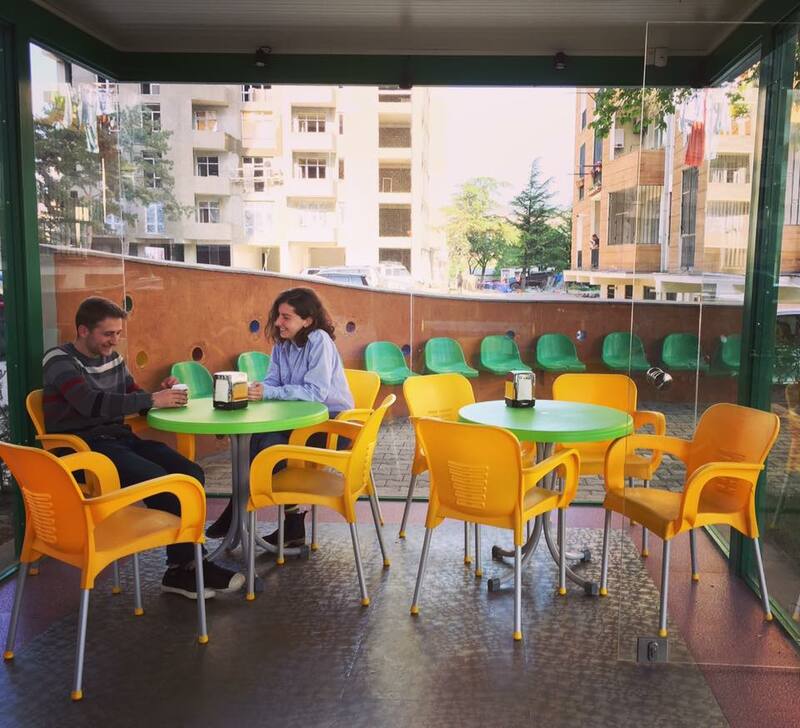 19/10/2016 In our yard you can visit colourful café and taste the best tea or coffee. You can also taste delicious cakes. 01/10/2016 Mayor of Tbilisi Davit Narmania, Vice Mayor Giga Nikoleishvili and Delegate of Tbilisi Assembly Mr. Tarash Shurghaia, as well as Gamgebeli of Didube district Ms. Irma Zavradashvili and Deputy Gamgebeli Zurab Ugulava attended festive opening of the kindergarten. 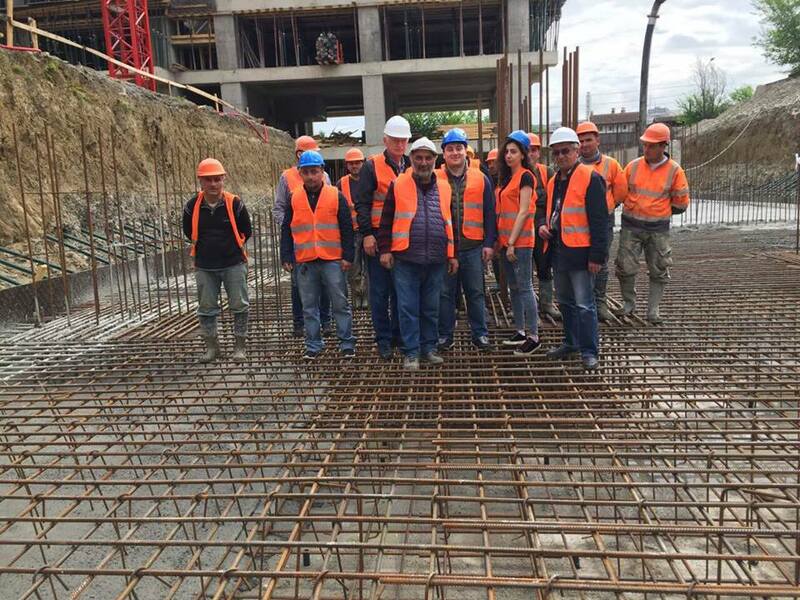 30/09/2016 Since 2010 the company “Tride” is carrying out construction works in Tbilisi, at the territory adjacent to Dighomi forest-park, between Lubliana and Beliashvili streets. Currently more than 70 000 sq. m. construction area is already built and put into operation. In the nearest period we will finish 50 000 sq. m. area, and more than 1200 families will live at the residential territory after that. Currently the company is intensively developing the infrastructure required for settlement. Independent classrooms for different age groups. Modern playground suited to the interests of the children. Swimming pool equipped with absolute sanitary facilities. Game and entertainment center equipped with respective equipment. Kitchen and dining room equipped completely in accordance with standards. 29/09/2016 On Saturday, October 1, we invite you to the festive opening of the kindergarten "wonderland preschool". 30/06/2016 The kindergarten "Wonderland preschool" will open from 1st of October of the current year. The kindergarten has been suited for 150 children. The places are limited, so hurry up. For detailed information please refer to the administration of kindergarten. Phone: 599 05 07 08. 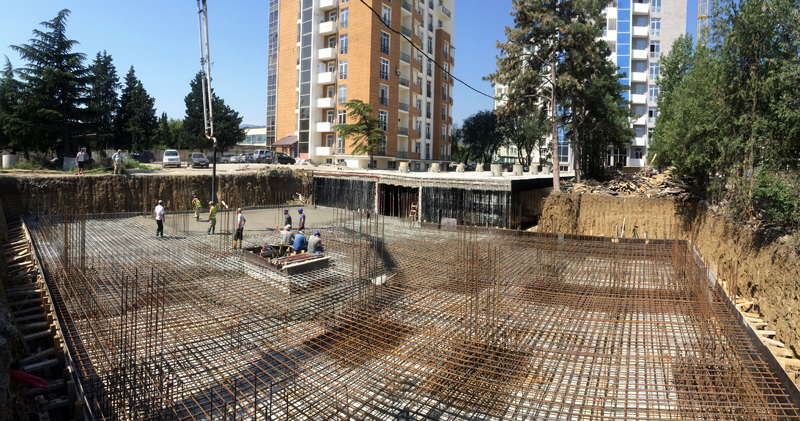 23/06/2016 Construction of the new, seventh building of Dighomi Park “Panorama 3” has started. We are currently engaged in arrangement the foundation bars. To the attention of residents of “Dighomi Park”! 27/04/2016 We are opening a park at the territory adjacent to “Green House” and “Panorama 1” on Sunday, May 1, at 12:00. Please, feel free to come. Sincerely, administration of Tride. 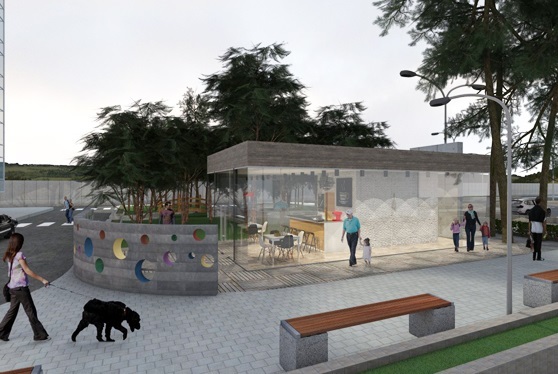 03/04/2016 The kindergarten built with contemporary standards is another infrastructural project of “Tride” which will make life in “Dighomi Park” even more comfortable. 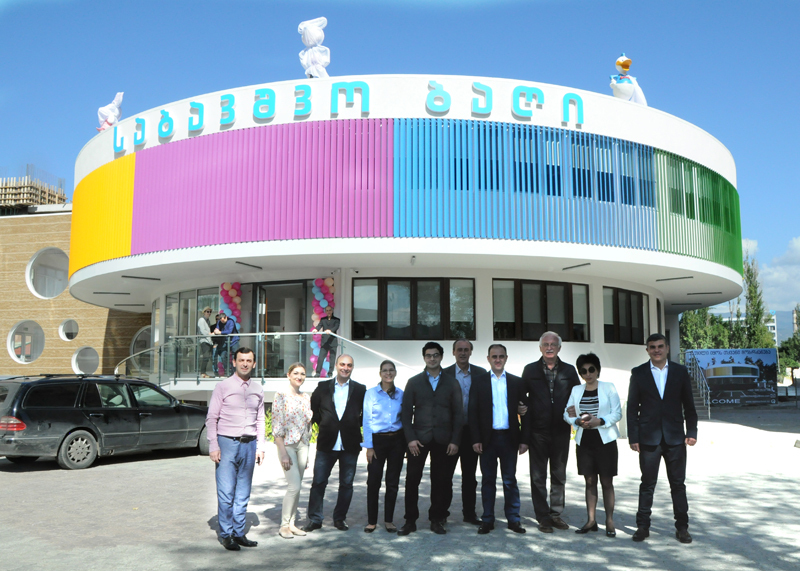 The kindergarten suited for 150 children will start operation from the next year. 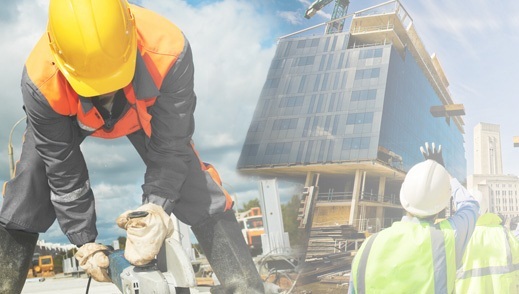 25/03/2016 Persons willing to update their extracts shall indicate in the note “Removal of Under Construction Status” when submitting an application to Public Registry – registration number of application 882016173235. 10/03/2016 We are using the highest quality tempered and heat-resistant glass "GUARDIAN" for facing of “Panorama 2”. Transparent structures are holding especially large role in contemporary construction, which require high mechanical strength and safety. 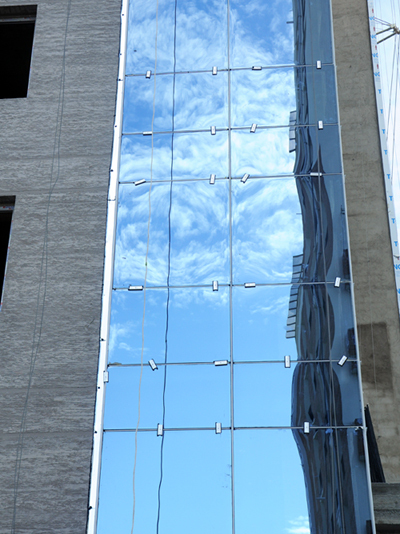 Therefore, tempered and heat-resistant glass is a popular element of modern architecture. 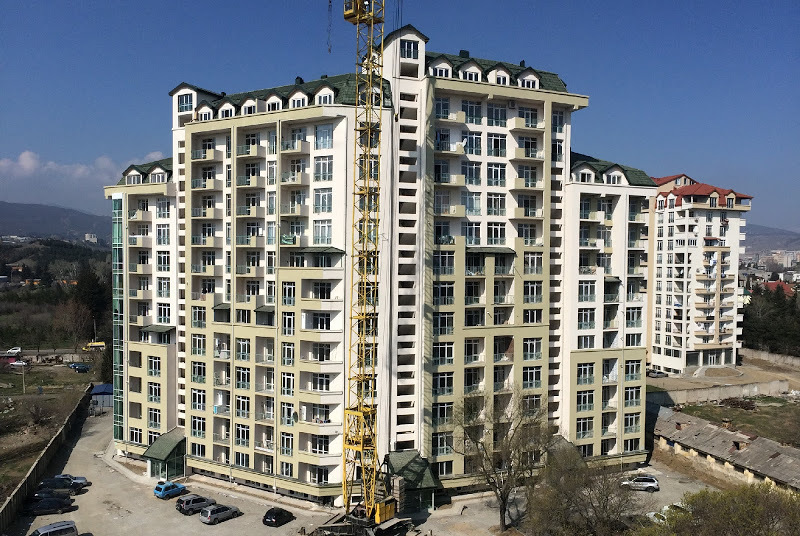 10/03/2016 Construction of “Panorama 2” will finish in the nearest period; for more comfort we have provided highly efficient hard thermal insulation with insulation bars of "megaboard". Low heat conductivity will ensure comfortable environment and low energy costs for heating and conditioning of the building. Possible saving 30%. 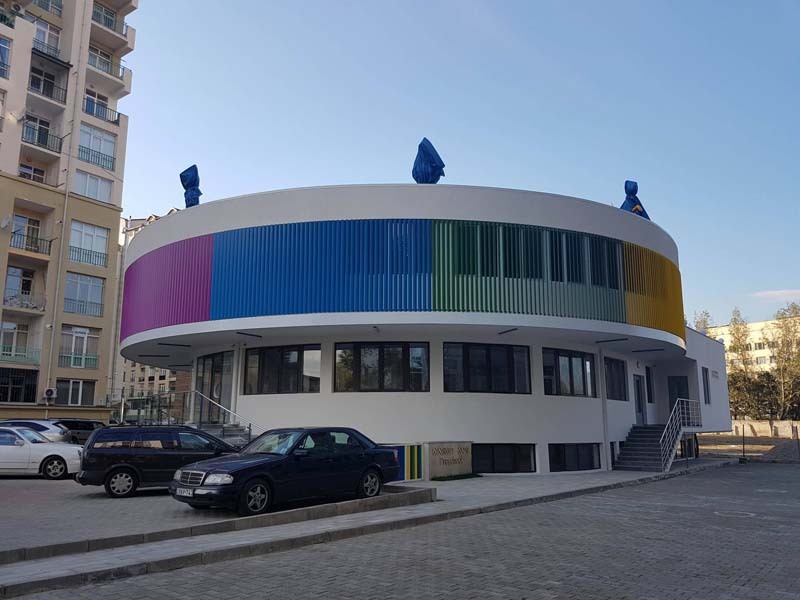 09/03/2016 We have started to beautify the yard of “Panorama 1”. At first we have planted more than 1000 plants of thuja and cypress. We have mounted irrigation systems for the yard. The park in front of the building is being arranged. 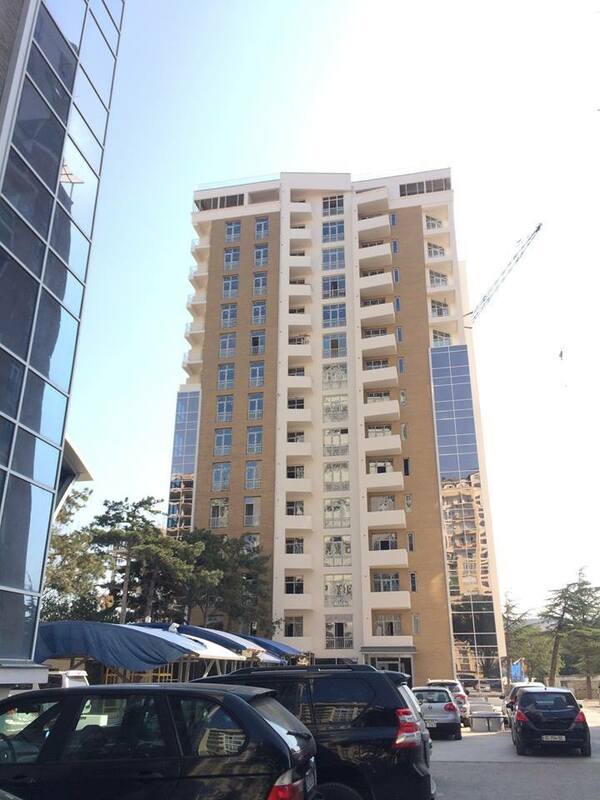 01/01/2016 Sale of commercial space in building B of “Residential complex in Dighomi Massive – on Lubliana” has started. Total area 724.5 sq.m. may be divided. 01/06/2015 This year the construction company “Tride” was awarded with the title of “Industry Leader 2015”. The award “Industry Leader 2015” is the expression of prestige and competitiveness. 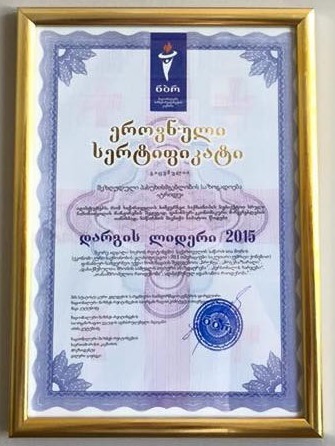 National Business Ratings Society is the union of international organizations in Georgia, Belorussia, Kazakhstan, Russia, Ukraine and Azerbaijan which ranks the activities of the entities operating in different industries, categories and legal forms. The Union separates successful entities and ranks them in the rating, while awarding the title of “Industry Leader” to the best companies. "Tride Panorama" – Sales started! 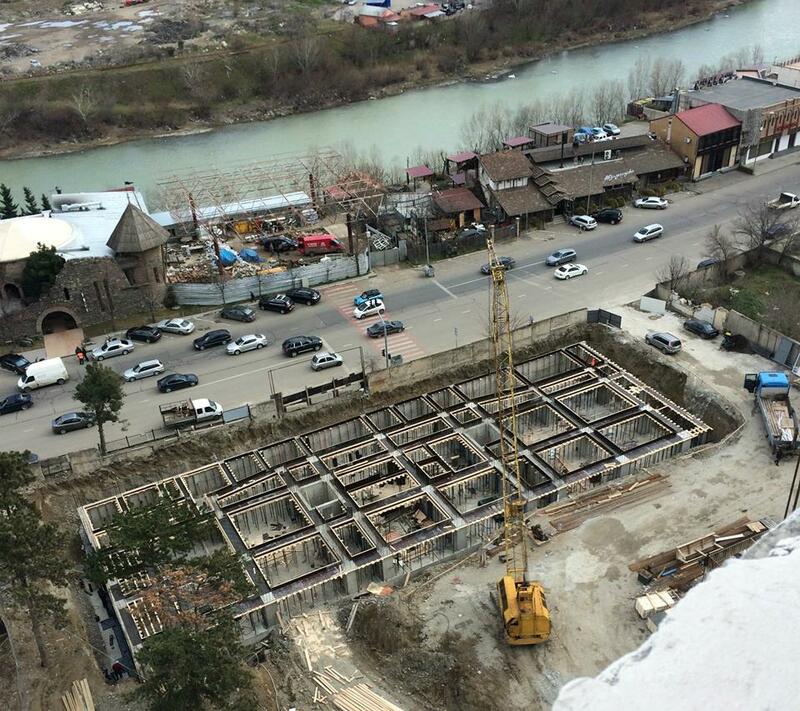 04/05/2015 Sales of the fifth building “Tride Panorama” of Dighomi Park are active. 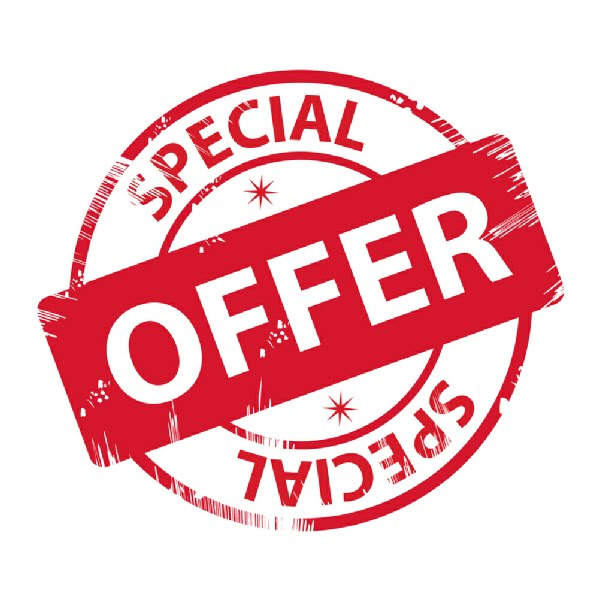 Until the end of May the apartments are sold with the offer price 1 sq.m. - $690. Date of completion of the construction is September 2015. 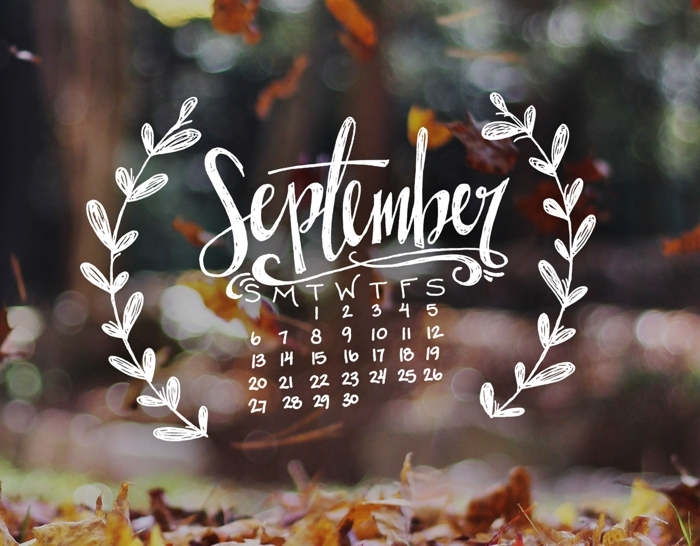 Utilities will be activated in October and residents will start to settle in. 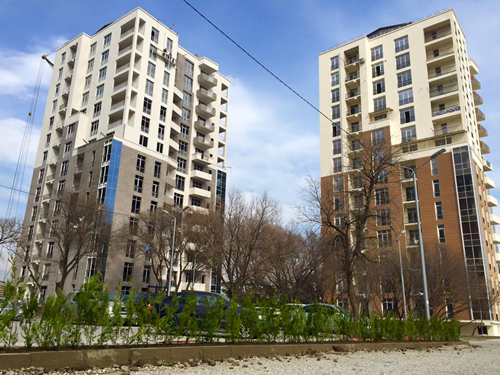 30/12/2014 Construction of the fourth building of the complex - “Green House”, consisting of 162 apartments, is finished. 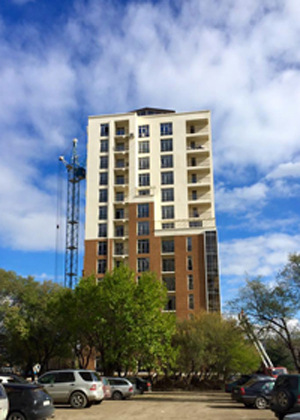 The apartments are already sold out in this building and the residents started to settle in. 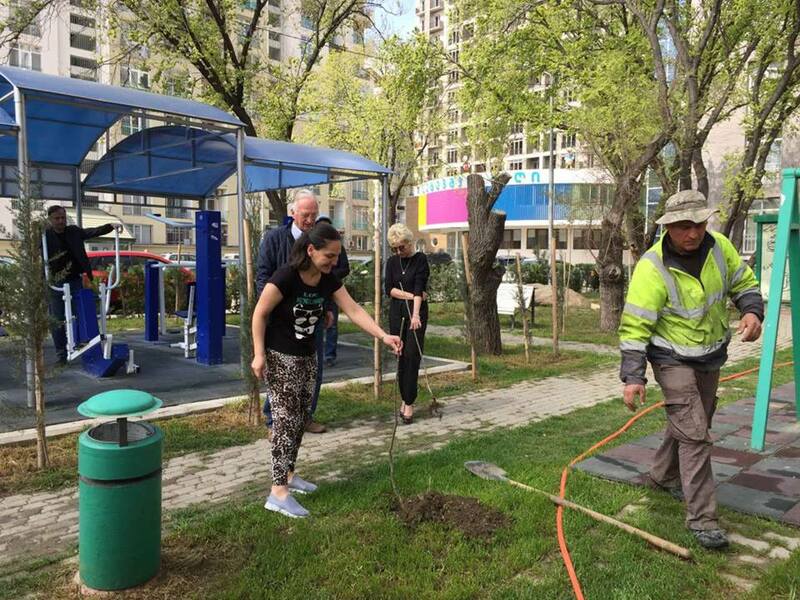 It must be mentioned that in the summer of 2015 there will be up to 500 families living in “Dighomi Park”. 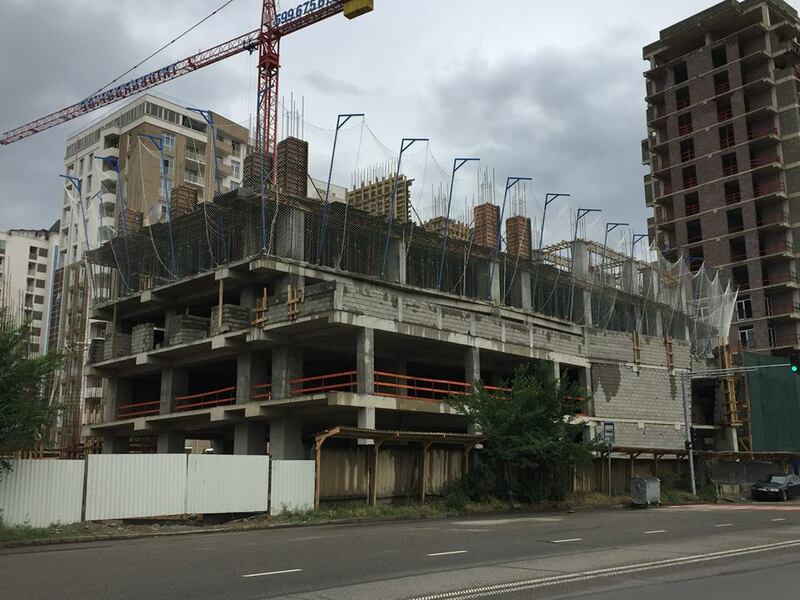 In addition, we have already started construction of two new buildings, which we plan to finish by the end of 2015. 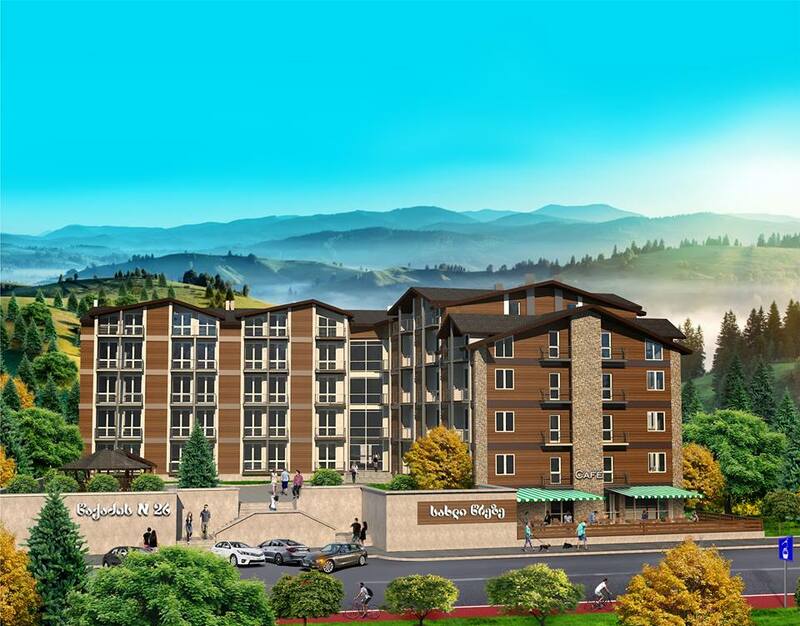 Totally, the residential complex “Dighomi Park” will be suited for 1000 families. The Mayor of the city visited the finished construction of Green House together with residents before New Year. 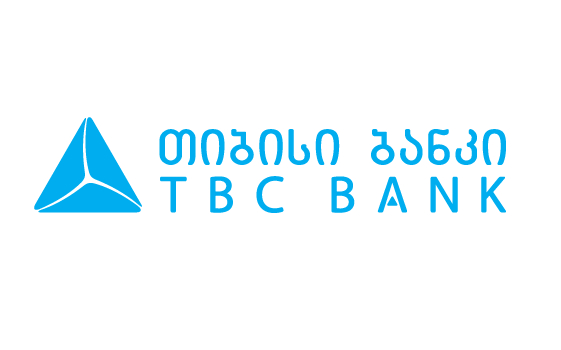 07/10/2014 “Ltd Tride” will carry out the sales of project “Residential complex in Dighomi Massive on Lubliana” together with TBC Bank. 09/09/2014 Beautification of the stairs has started in all three entrance halls of Green House. Stair railings are also being mounted. Simultaneously we are mounting the natural gas and electricity systems. 12/06/2014 Construction of Green House continues within the announced terms. Currently we are constructing the roofing of the attics of the eleventh floor. 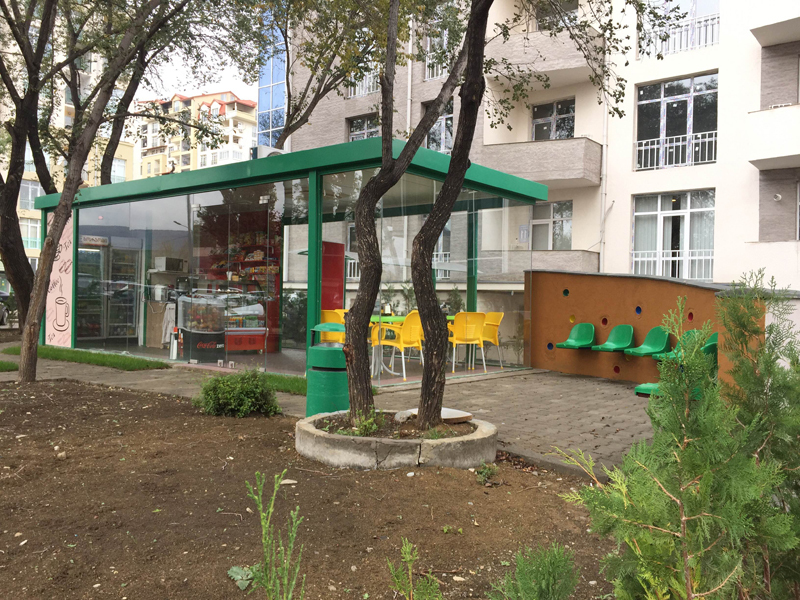 Sales of “Green House” in Dighomi Park started! 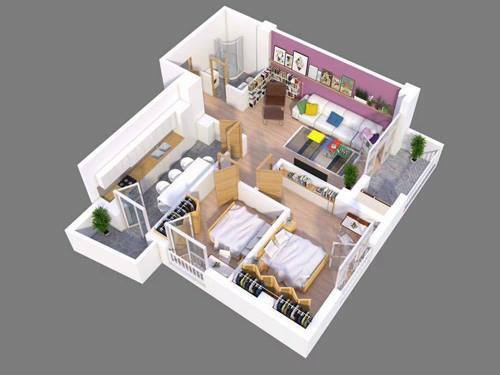 11/05/2014 Price of corner apartment is $700, standard apartments for $680. 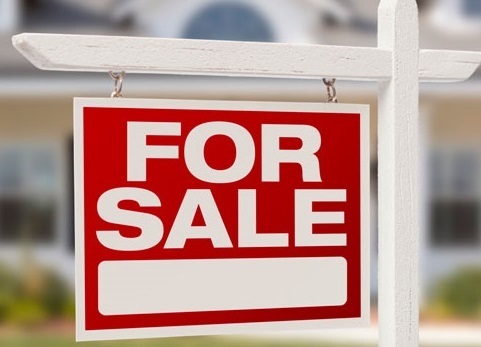 In case of full payment (including the bank mortgage), the buyers will be given a discount of $30 for the price of 1 sq. m.
14/01/2014 Georgian Rugby Union summarized the results of 2014. Distinguished rugby players, teams, prize winners and coaches were awarded at the special festive event. Director of our company Lasha Khurtsidze announced that Ltd “Tride” will continue to support rugby players in the future and will actively participate in similar events. 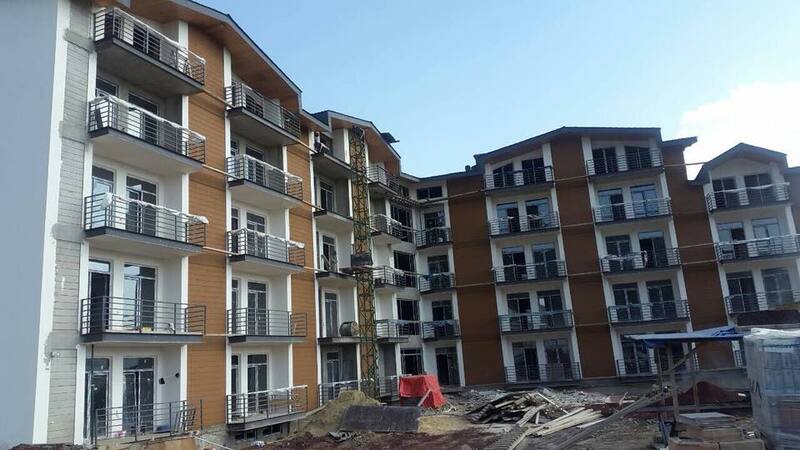 14/01/2014 Putting building “C” of “Residential Complex in Dighomi Massive – on Lubliana” into operation is completed. 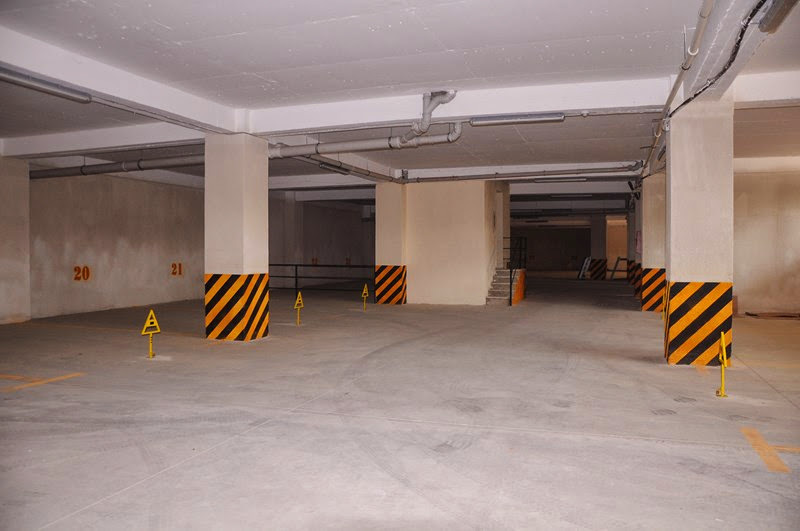 11/11/2013 Sales of underground parking of A, B and C sections of residential complex have started. 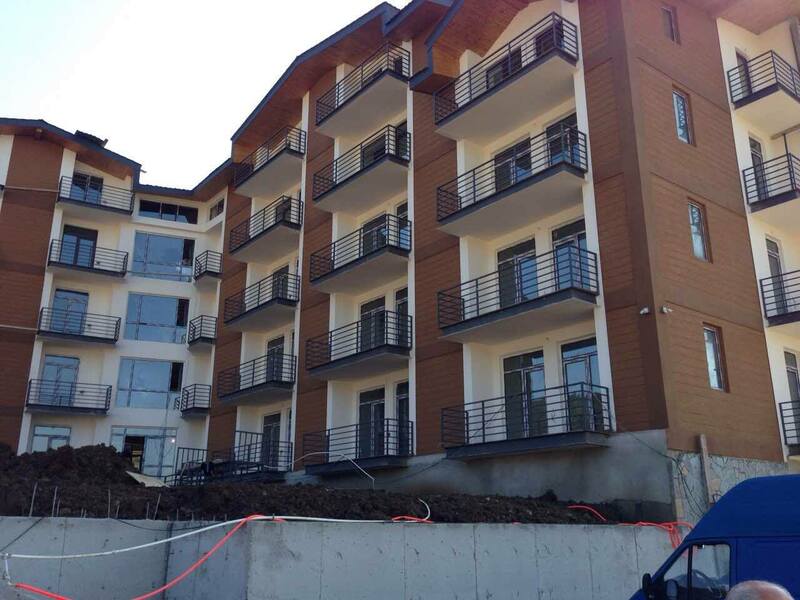 20/09/2013 Putting building “B” of “Residential Complex in Dighomi Massive – on Lubliana” into operation is completed. 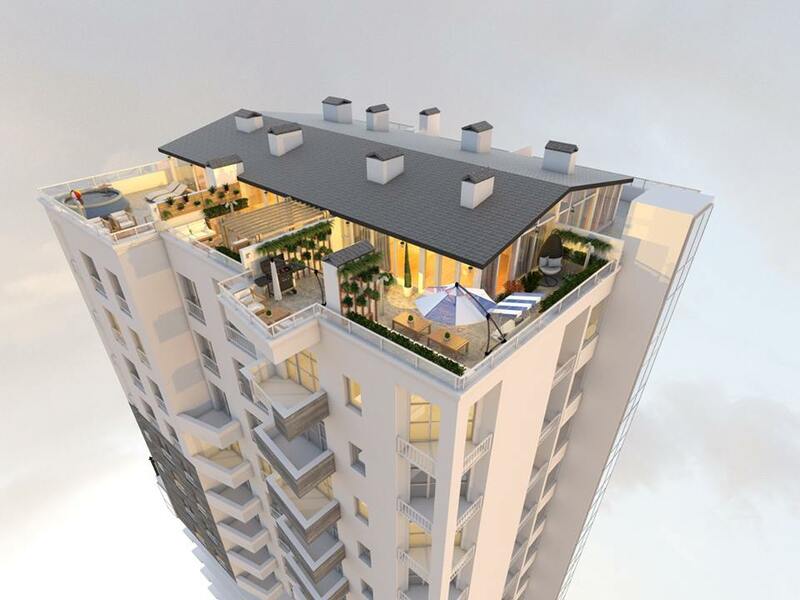 08/07/2013 You can buy an apartment in “Tride Panorama” with the mortgage of VTB Bank. 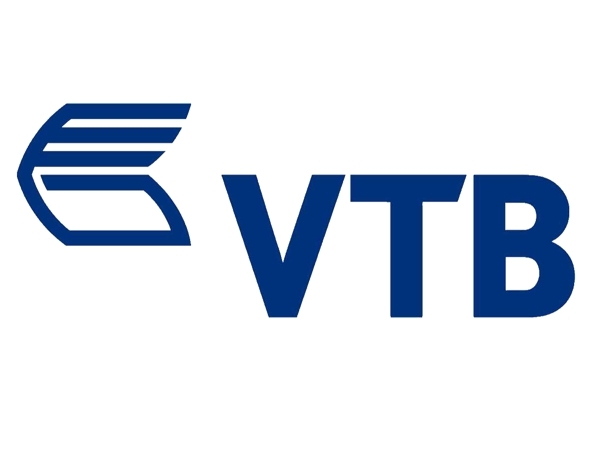 The memorandum of cooperation concluded between the construction company Tride and VTB Bank will allow our customers to withdraw loan from VTB bank with the most simplified and favourable terms. 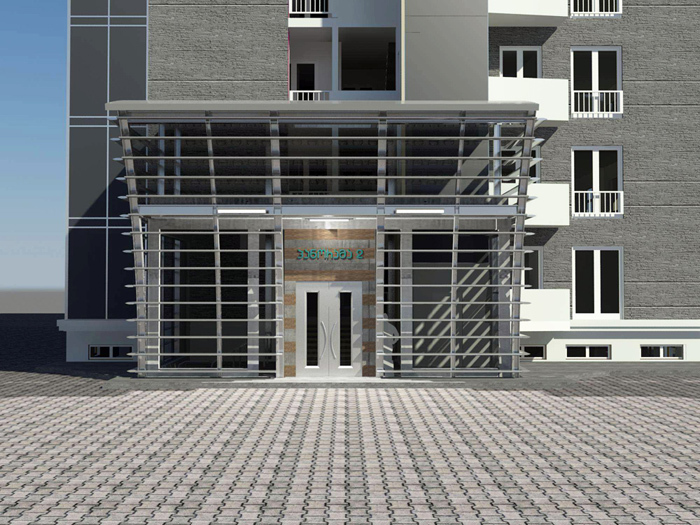 08/07/2013 Sale of commercial space in building B of “Residential complex in Dighomi Massive – on Lubliana” has started. Total area 724.5 sq.m. may be divided. 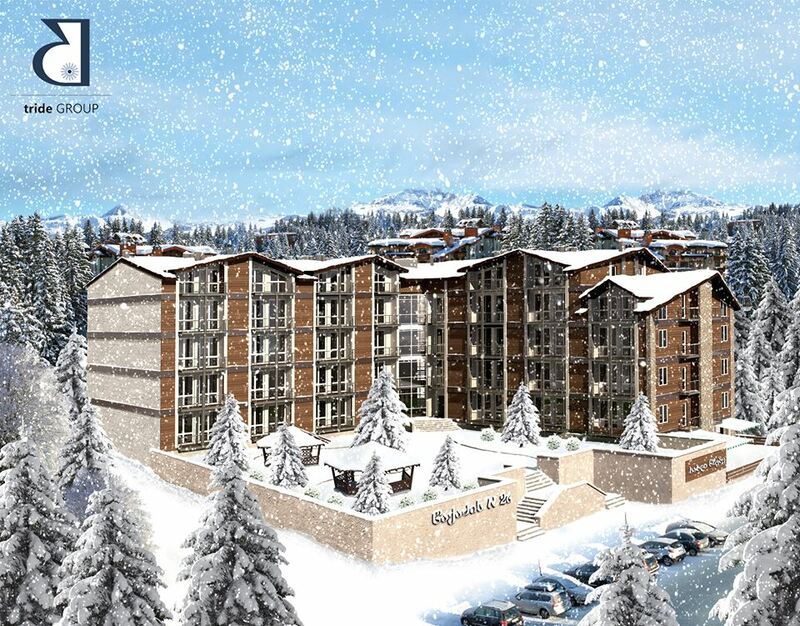 01/07/2013 Sales of building C of “Residential complex in Dighomi Massive – on Lubliana” have started. 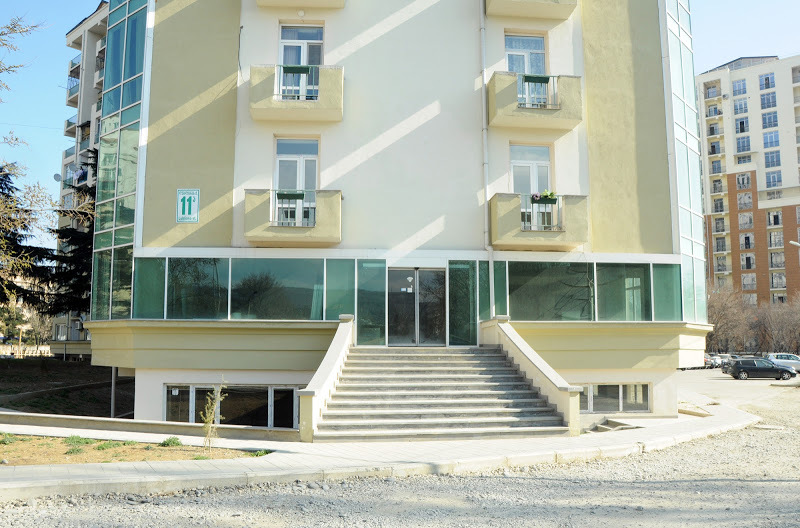 23/01/2013 Putting building “A” of “Residential Complex in Dighomi Massive – on Lubliana” into operation is completed. 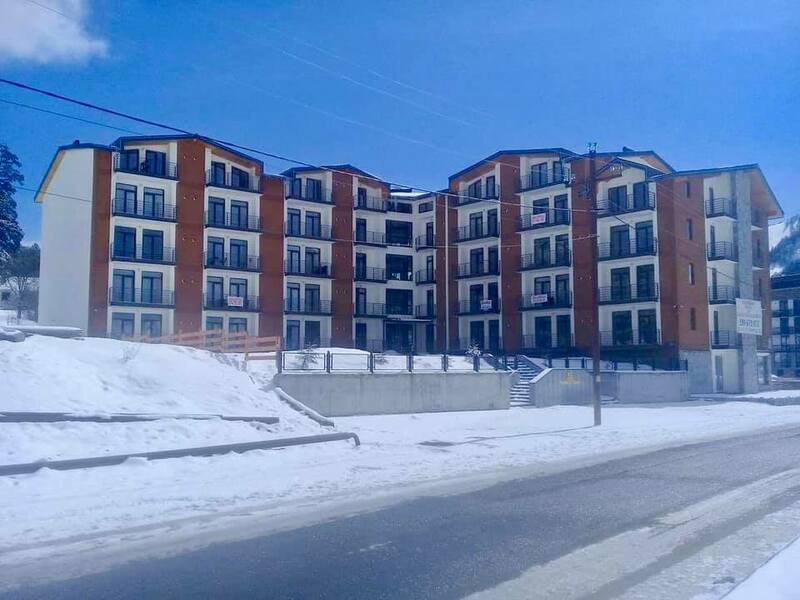 24/10/2012 “Ltd Tride” will carry out the sales of project “Residential complex in Dighomi Massive on Lubliana” together with VTB Bank. 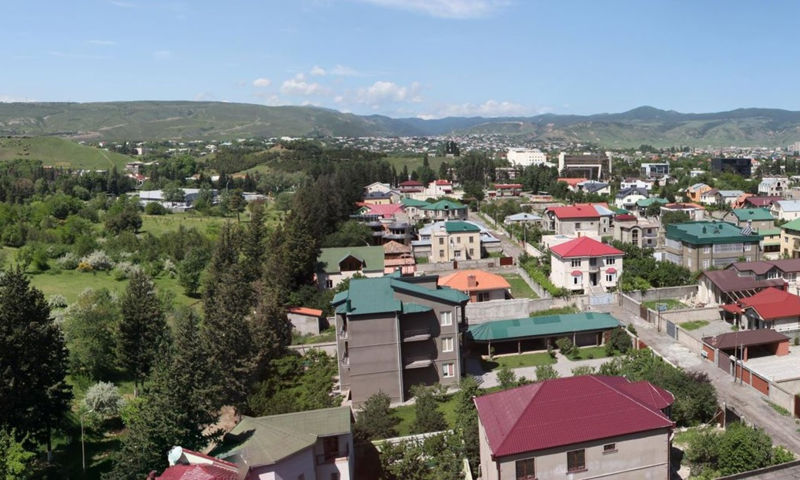 24/09/2012 Sales of building B of “Residential complex in Dighomi Massive – on Lubliana” have started. 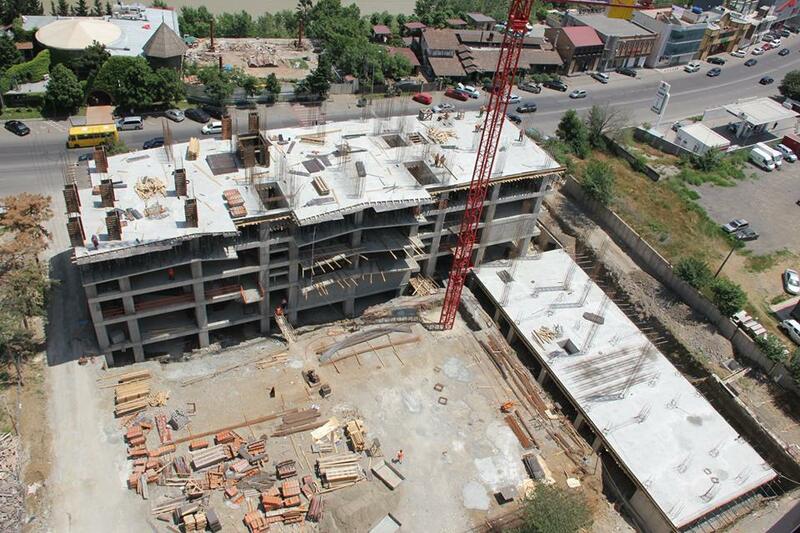 12/07/2012 Construction of the third building of “Residential complex in Dighomi Massive – on Lubliana” has started. 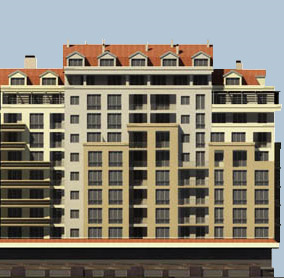 04/07/2012 Sales of the second building of “Residential complex in Dighomi Massive – on Lubliana” will start from September of 2012.